The new design for the reconstruction of the stadium respects the historic fabric with its important filigree prestressed concrete upper tier built in 1968, the frame of the new roof structure being detached and placed clear of the existing bowl. 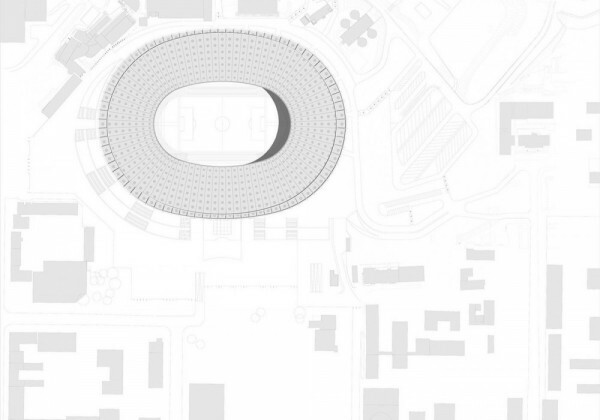 This most distinctive feature is therefore being encased in a new filigree glass façade and will be duly illuminated with appropriate lighting. 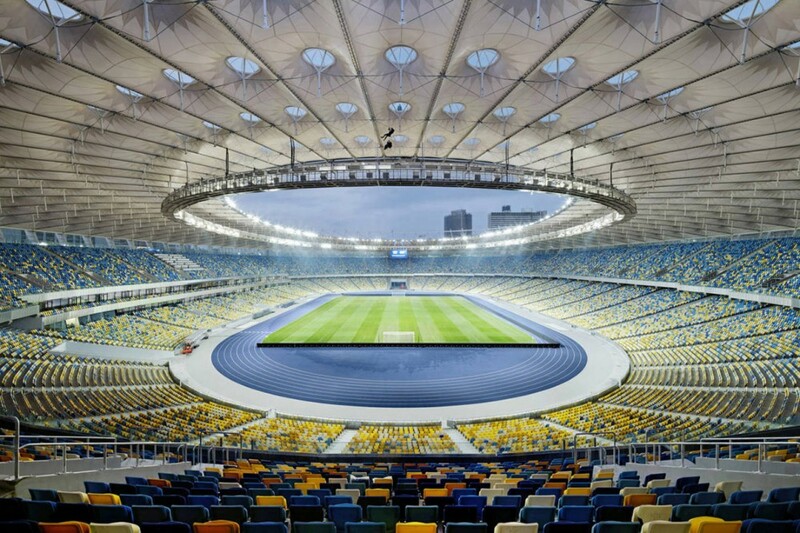 The plinth structure of 1948 arising from the location of the stadium on a slope at the West End also was rebuilt in a different guise during reconstruction. 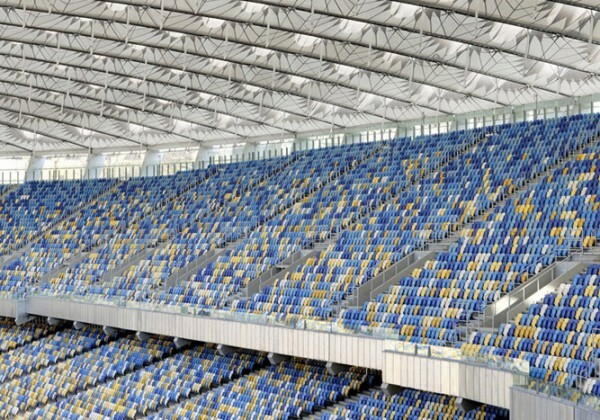 The geometry of the lower part of the stand was completely redesigned and updated in accordance with safety requirements. 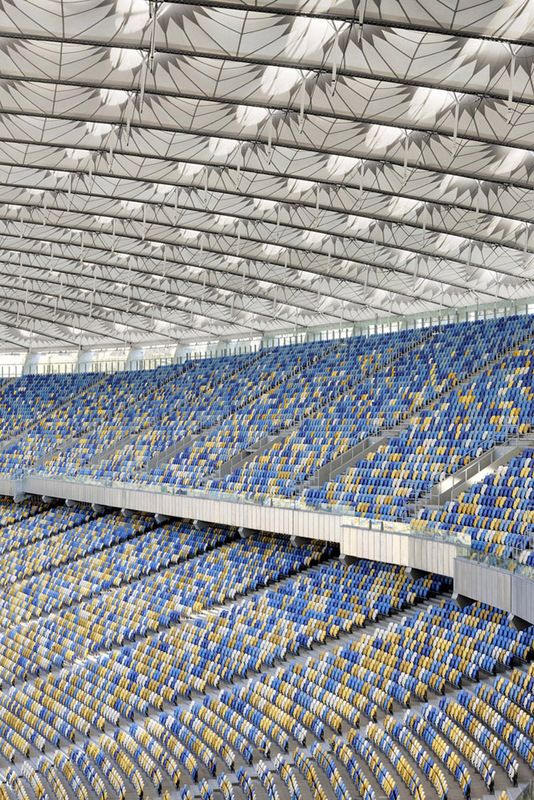 Particularly at the west end of the stadium, beneath the main stand, extensive premises were constructed for players, VIP guests and press representatives. 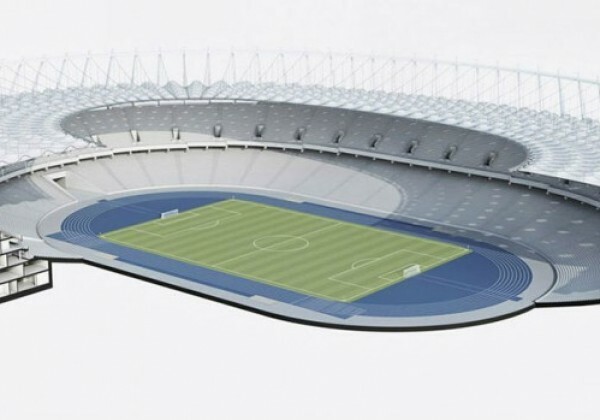 After the conclusion of the European Football Championships in 2012, an athletics track will be inserted, enhancing the functionality of the stadium. 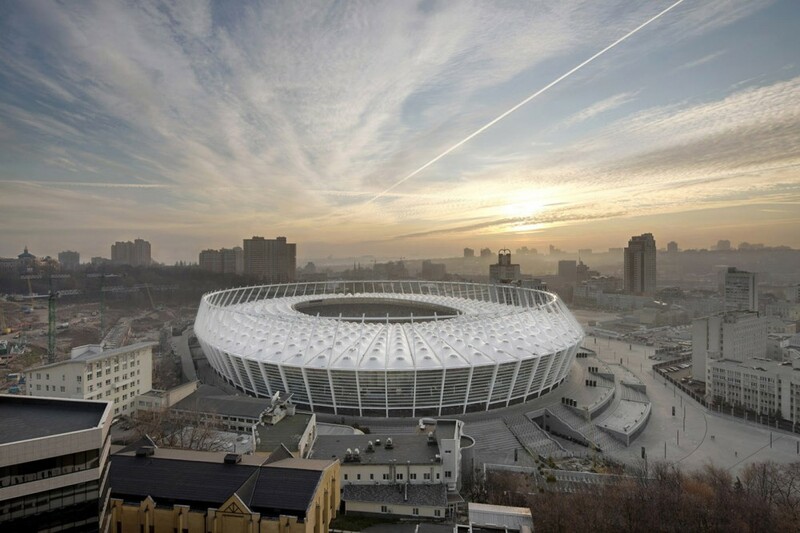 When the glazed structure of the stadium is illuminated at night, it is an urban landmark in the cityscape of downtown Kiev. 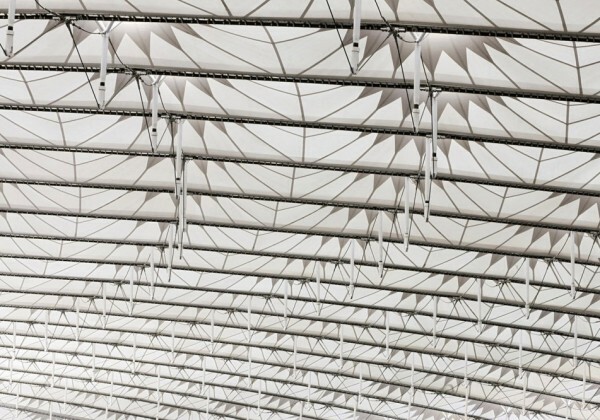 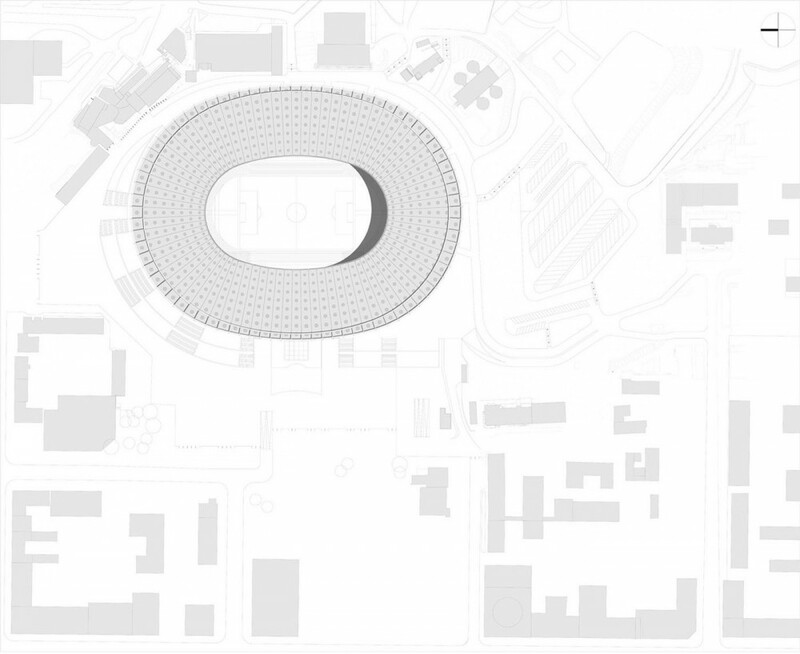 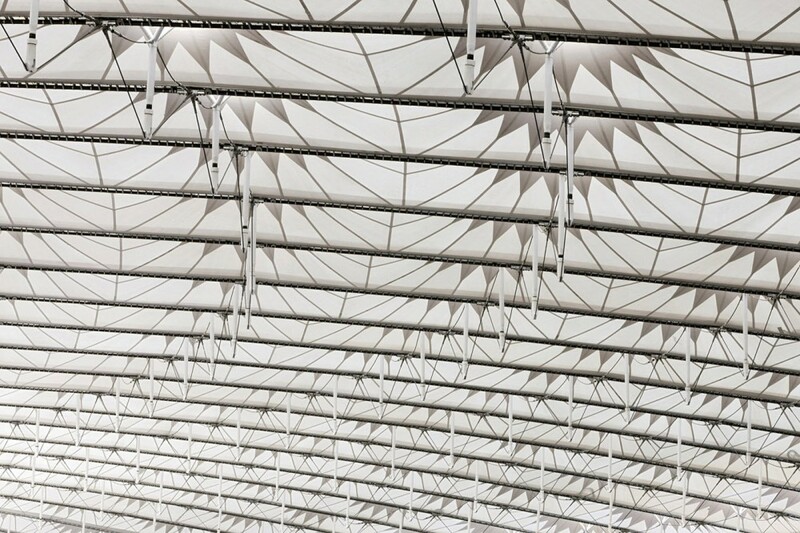 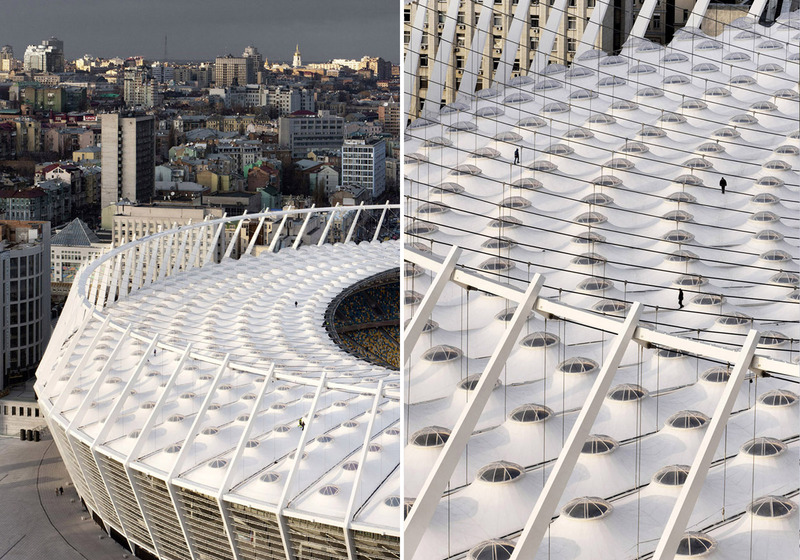 The interior of the stadium, with seats for around 68,000 people, gains an individual, unmistakable identity with a membrane roof structure incorporating air supports and domes of light. 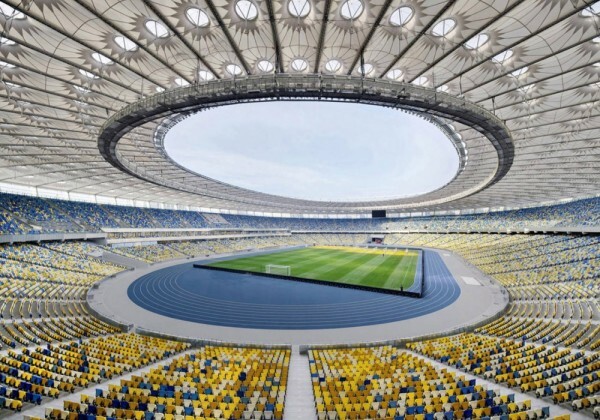 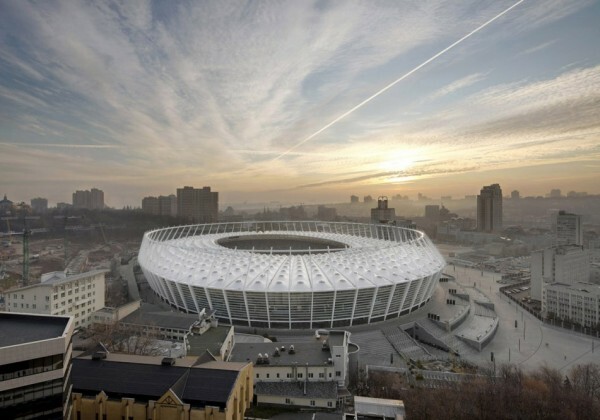 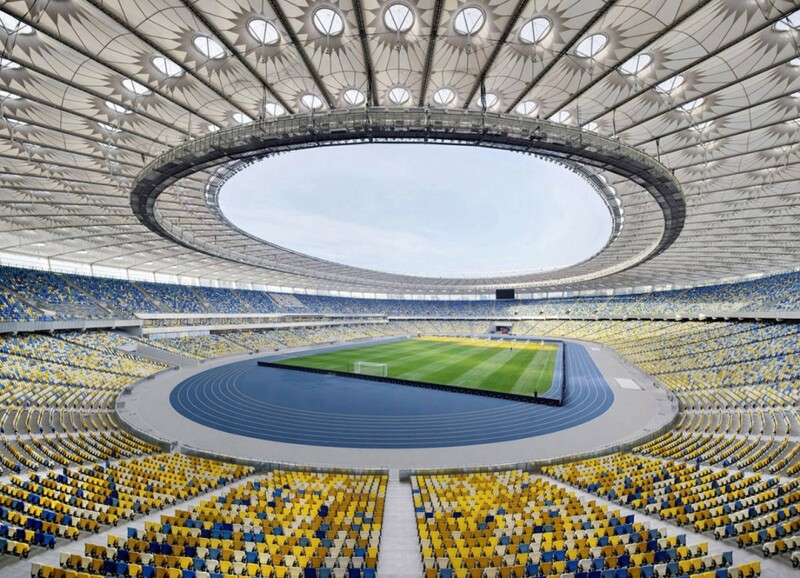 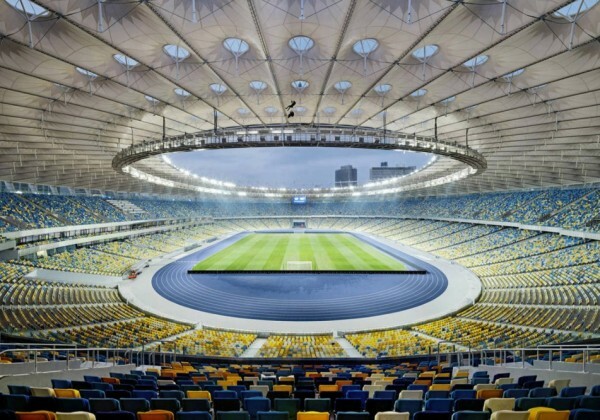 The new stadium was inaugurated on 8th October 2011, the first international match after the opening was held between Ukraine and Germany on 11th November 2011..